Use in 3 ways - swaddle, transition & baby sleeping bag! Your baby can now dream on sheets as luxuriously soft as silk. The original Australian swaddle bag. Safe & comfortable swaddling for newborn babies. A beautiful Blankie, a must-have nursery accessory and keep-sake for years to come. Get sleep in the bag with our range of baby sleeping bags. As we celebrate our 10th birthday, we have created a short video to remind us all of why we do what we do - we're passionate about Helping Babies Sleep. Please have a look and enjoy. From the bottom of my heart, thank you for choosing Bubbaroo. 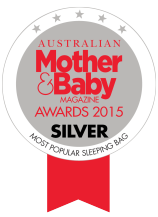 At Bubbaroo, we’ve got you covered throughout bubs early sleep journey. Newborn bubs start with our Joey Pouch® to swaddlng them up for better quality sleep. If your baby likes to be swaddled and you want to transition then stage 2 is the Joey Pod Transitional Swaddle which can be used as a swaddle, one arm out or both arms out like a baby sleeping bag. Once bub is rolling onto their tummy, it’s time to move them into a Joey Swag® Baby Sleeping Bag which is specially designed for bub to move freely while staying covered. Baby Too Hot or Too Cold for Sleep? 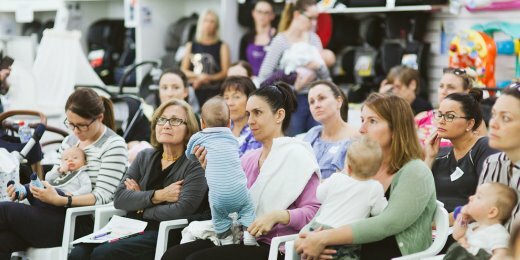 Overheating has long been linked to SIDS & being to cold can disturb a baby's sleep..
I’m Nicole Cassey, Mum, founder and CEO of Bubbaroo. My story as a sleep product innovator follows in close step with the sleep story of my first child, Jacob…As with every parent, my life changed forever after the birth of my son Jacob. Welcome to Bubbaroo Australia! We’re so happy you found us. Created by Mums, for Mums, Bubbaroo’s range of specifically designed quality baby swaddles, baby sleeping bags, baby bedding and accessories mean you can rest assured you’re wrapping your baby in nothing but love. Australian owned and operated, Bubbaroo is an online retailer and wholesaler of an ever-increasing range of boutique baby sleepwear. Essentially, we are a one stop shop for parents to find solutions to their baby’s sleeping problems using our beautiful range of Joey Swag Organic Cotton Baby Sleeping Bags, Joey Pouch Swaddle Wraps, Bamboo Muslin Wraps, essentials and more. 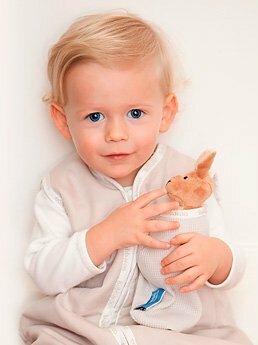 Bubbaroo and the original Joey Pouch Swaddle Wrap was born out of necessity, motivation, creativity and maybe a hint of desperation as we struggled to find solutions to our first baby’s sleep issues. We essentially wanted something - likened to a swaddle blanket - that kept our babies safe and snug all night long, even if they had a tendency to kick off their sheets. This is where the idea for our first product, the Joey Pouch Baby Swaddle Wrap, originated. Designed to simulate the womb and give your baby a sense of security as they sleep, the Joey Pouch was so successful it led to the development of the Joey Swag Sleeping Bag range for babies, toddlers and kids. Bubbaroo products are different because we don’t try to be all things to all people. Simply, we specialise in safe, stylish, high quality sleepwear products. We’ve created a line of premium baby sleeping bags, baby swaddles, baby bedding, muslin wraps, baby blankets and accessories that have since been tried, tested and loved by my babies as well as by many babies throughout Australia and the UK. We’re also developing new product lines and working organic cotton and Australian wool, because at Bubbaroo we Help Babies Sleep. 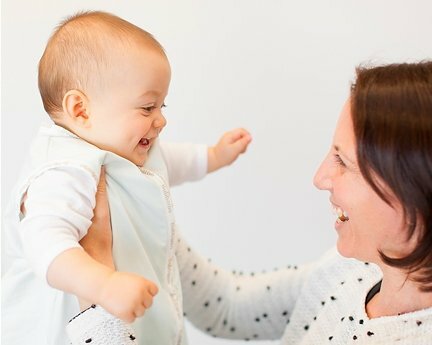 With free delivery on orders over $100, Bubbaroo is as easy on the wallet as it is on your baby. 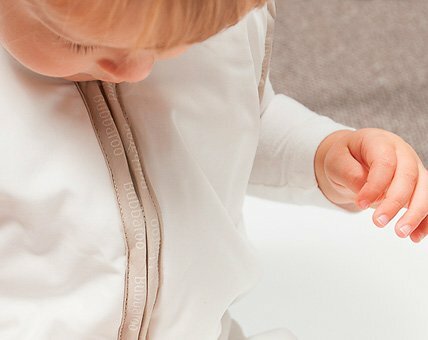 Check out our unique range of baby swaddles and baby bedding, and from all of us at Bubbaroo - have a good night.